After the 1979 revolution in Iran, the theocratic regime of Iran initially nationalized all banks. However, the regime then created a variety of semiofficial holding companies controlled by the supreme leader, senior clerics or top military commanders of the Iranian revolutionary guards. Over the years, many of these companies acquired commercial businesses and expanded with major roles in controlling religious foundations; they have tax exempt and political connection advantages over private business. 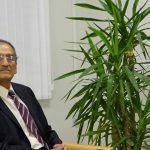 In recent years, due to embezzlement and corruption, these credit institutions collapsed, like the Caspian and Sekeh Samen financial institutions. The bankruptcy of these entities has triggered angry public protests by depositors who demand the return of their money and denounce the Iranian authorities for having allowed the institutions to plunder their funds. 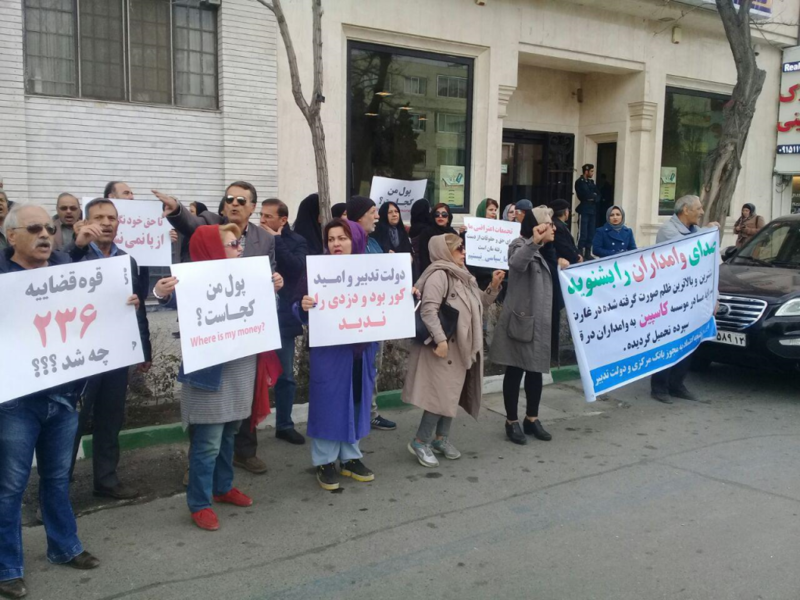 On Sunday, Jan 13 , 2019 customers of Caspian credit institution held a demonstration in Tehran, stressing they will continue their protests until their stolen funds are returned to them. 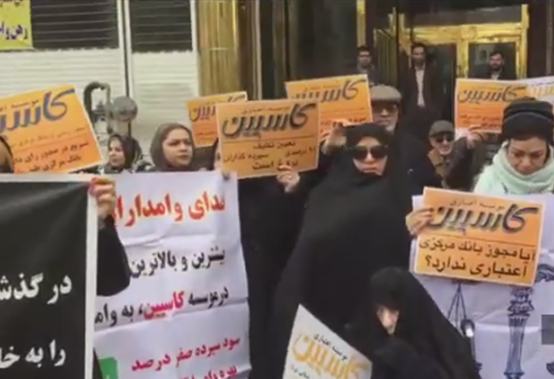 The protesters were calling on the parliament and Iranian regime officials to stay true to their own laws and to hold the perpetrators of a large Ponzi scheme that has robbed millions of people of their investments to account. Caspian is one of five credit institutions that declared bankruptcy in 2017, wiping away billions of dollars’ worth of investor money. The credit institutions started absorbing investor money three years earlier with trumped up promises of fast returns on investment. Those promises never materialized. These credit institutions had strong ties to Iranian regime officials and had gotten permits from the Iranian regime’s ministries. Since the collapse of the institutions, their customers have been regularly protesting and demanding the return of their funds. 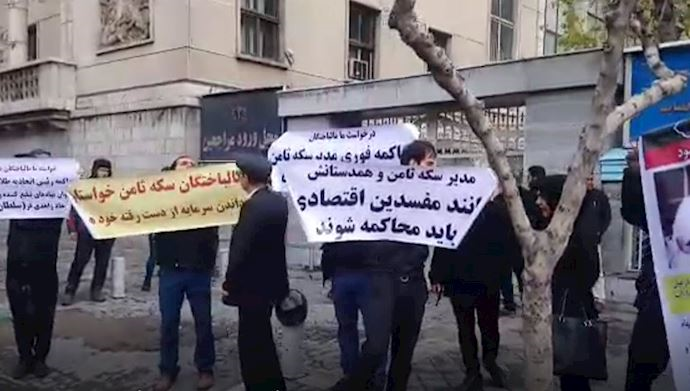 At the same time, in Mashhad, customers of Badr Tous, another one of the bankrupt financial institutions that was merged into Caspian, held a demonstration in front of the Khorasan province governor’s office. The protesters were shouting slogans against the Caspian and Iranian regime officials. “Is this the Central Bank, or the center of thieves,” the protesters asked, conveying the message that to them it’s clear that the government is complicit in the plundering of their wealth. The protesters were also chanting, “Caspian has committed theft, the government has supported it.” They also made it clear that they will continue their protests until the government refunds them. 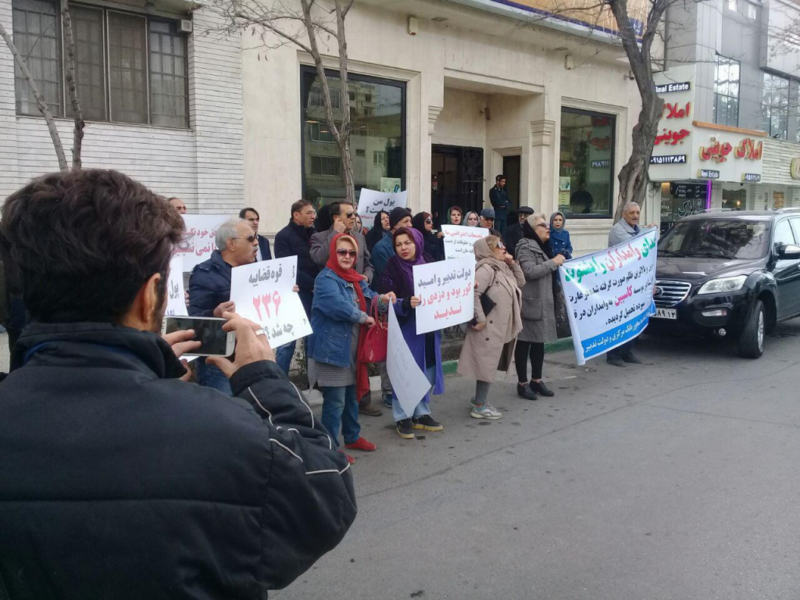 On Saturday, the customers of Sekeh Samen, a website for buying and selling precious metal coins, gathered in front of the headquarters of Gold and Jewelry Union in Tehran and protested to the illicit practices of this union, which was one of the main promoters Sekeh Samen. During their demonstration, the protesters entered the building of the union and chanted slogans. Sekeh Samen launched in 2016, claiming to provide services for digital commerce and the online sale of various types of gold products. The website made many claims about providing financial service round-the-clock and to all parts of the world. Last August, the company unexpectedly removed its online trade section, claiming to be conducting technical maintenance. Shortly after, the Gold and Jewelry Union, which keeps tabs on the brick-and-mortar and online trade of precious metals, ordered the shutdown of Sekeh Samen. The Union claimed Sekeh Samen had never obtained a permit for work. Meanwhile, the Union had been overtly promoting the website on its premises and online portals. The company left thousands of online traders out in the cold, triggering even more protests over the financial corruption that is plaguing the regime in its entirety.